The Brexit argument map has become too large for Rationale running in cafari on my iPad. I have transferred the map to iThoughts and loaded the current version to biggerplate iencehere. 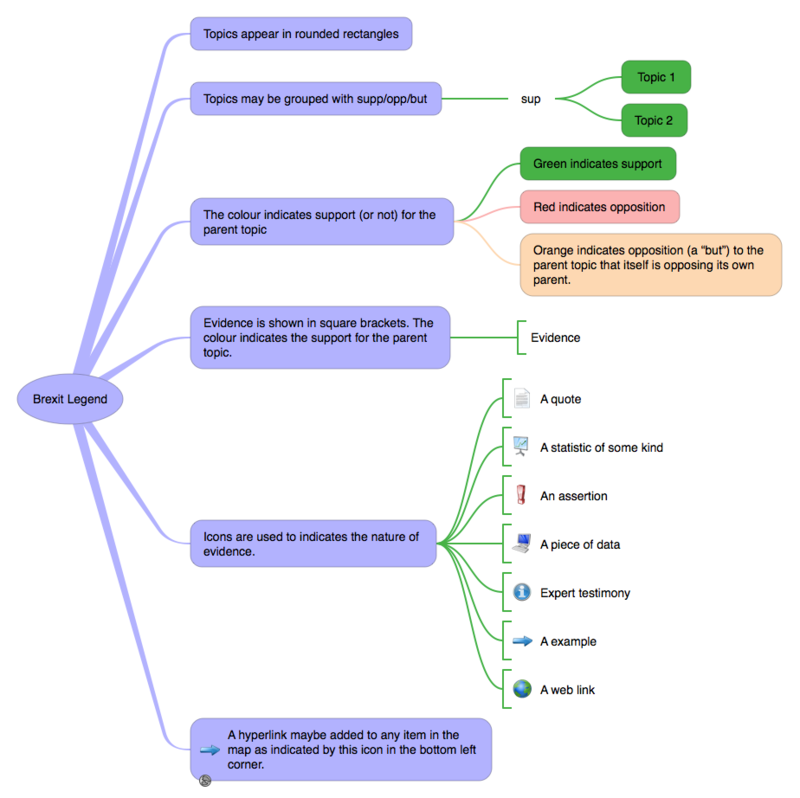 This link is to a PDF the first page of which contains the argument map. All the details can be viewed by zooming. The current version of the map includes content up to reference 55. I am aware that there are a large number of Guardian links; no significance should be read into this other than the fact that The Guardian is not hiding its content behind a paywall like some other sources.